Courtesy of Home Buddy, LLC. This is it! Very popular single level home with great room floor plan. Inside you’ll find tons of natural light, 3 bed, 2 bath, and neutral paint throughout that allows you to add your own taste. Open concept kitchen includes granite counters, matching appliances, center island with breakfast bar, and pantry. Nice size master bedroom includes walk-in closet and full bath with double sinks & large shower. Backyard has a clean slate for you to landscape exactly how you like it, enjoy it from the extended covered patio. This community has some of the best amenities in the valley, including two Residents Clubs with pools, sports lounges, cafes, slides, and fitness centers. This home is located within an easy walk to the Presidio residents club! Hurry to make this beautiful home yours! Directions: Northwest on Calistoga Dr, Left on 182nd Dr, Left on Thunderhill Pl, Left to stay on Thunderhill Pl, Left on 181st Ave, Right on Indigo Brush Rd which becomes S 180th Ave. Property will be on right. Please, send me more information on this property: MLS# 5910056 – $315,000 – 14925 S 180th Avenue, Goodyear, AZ 85338. 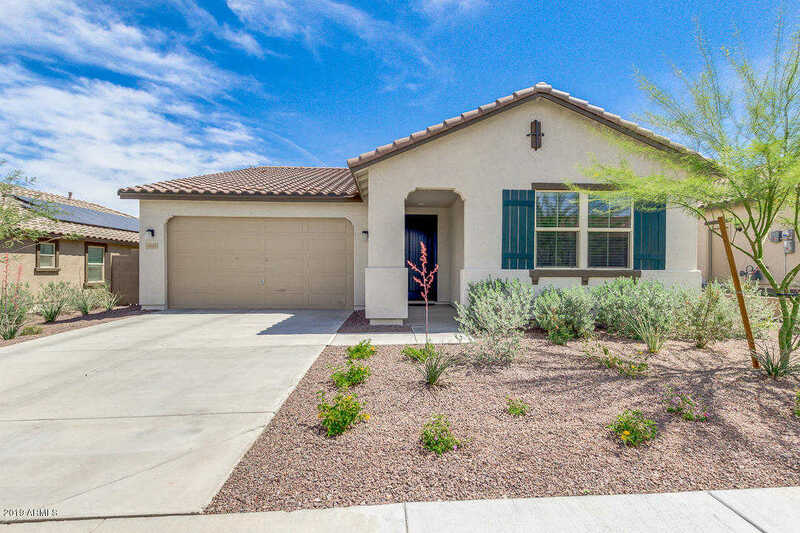 I would like to schedule a showing appointment for this property: MLS# 5910056 – $315,000 – 14925 S 180th Avenue, Goodyear, AZ 85338.